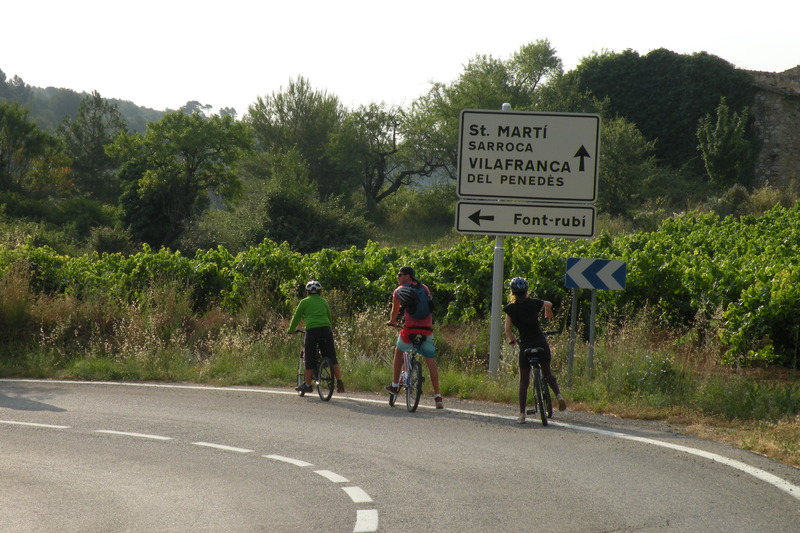 On a Saturday morning in mid-July we set off on the bike tour to the Rovellats Winery from the High Penedes. Beginning at the Wine Pleasures Estate we got ourselves prepared with the bikes, helmets and support car pulling a trailer with a spare bike and room for more if necessary. As it was still early it was fairly cool and the sun hadn’t yet broken through the clouds when we started on our way. I am not a frequent cyclist, so I was nervous, but I quickly adjusted to the ride which was along a smooth, car-free road gradually descending and running around the mountain. 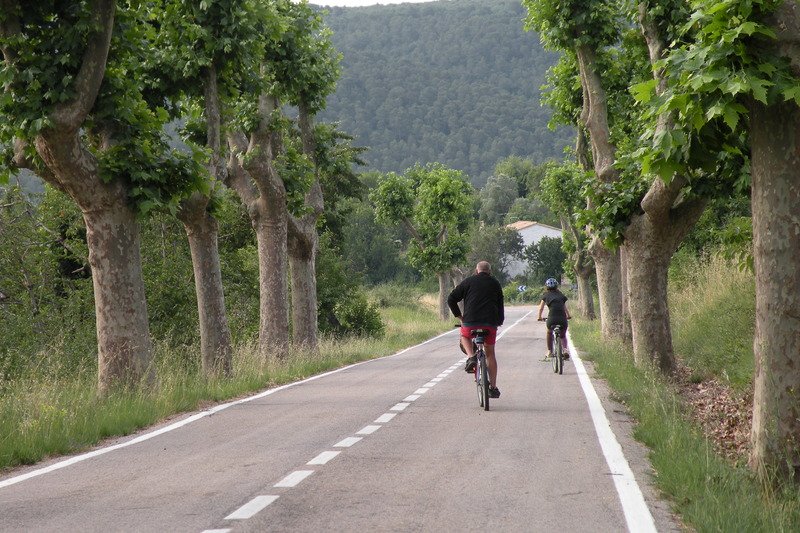 The road was lined with trees and after a while the view from the bike also included the mountain opposite and the valley far below. There we could see a steep limestone gorge below thick greenery on the peak around the buildings of a village. At the far end was a larger and modern building that is used as a sanctuary. The sun broke through the clouds soon after creating patterns of light and shade through the leaves of the trees and on the ground ahead of us. The views, along with the wind on our faces and ease of the downhill cycle made it feel more like a relaxing country tour than the challenge I first expected it to be. Our first stop was to see the way they used to cultivate grapes on the steep mountain; they had created levels, almost like large steps, leading up the side of the mountain. 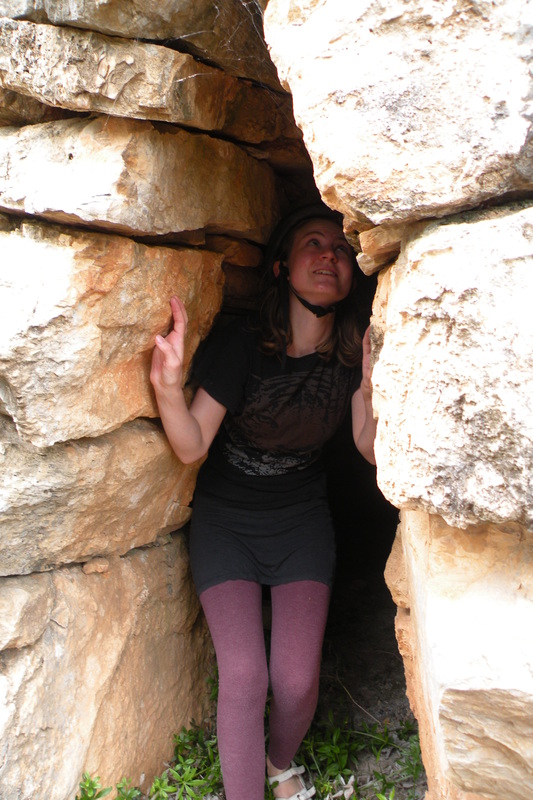 Here they also built a small stone hut, hand built and without mortar. This is a sight frequently found in this region as the winemakers used them to rest and shelter from the elements. Although there used to be a vineyard there, there is no longer any sign of grapes; the vineyards in this region were wiped out by the small insect phylloxera that came over to Europe in the 1850s. This small aphid-like insect was brought over from North America by Victorian botanists who took samples of the American vines. As the phylloxera were native to America, the vines had become at least partially resistant to these pests, but the European wine grape was very susceptible. Since then, this problem has been overcome by using resistant vines and also through the hybridisation of the two different species. 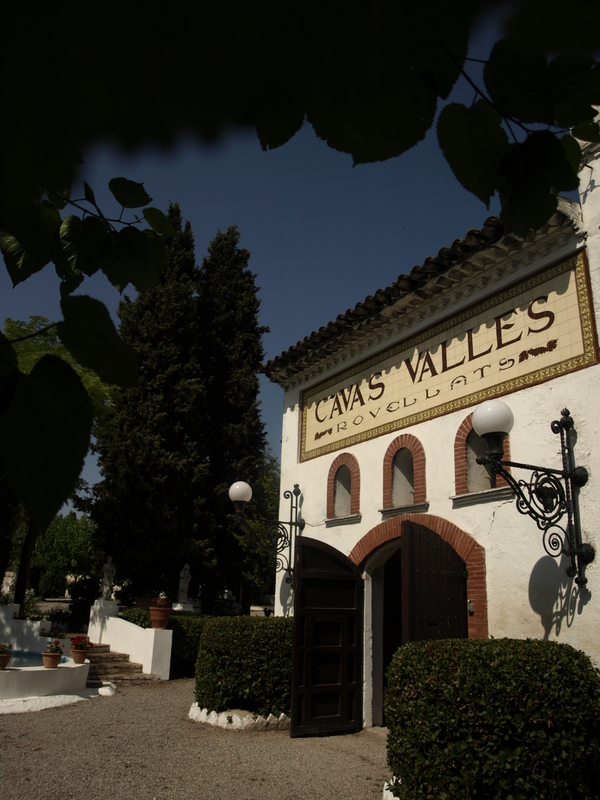 We continued on our journey from the High Penedes to the Mid-Penedes. Because there are so many levels in the mountainous region there is a period of almost 2 months for harvesting grapes. 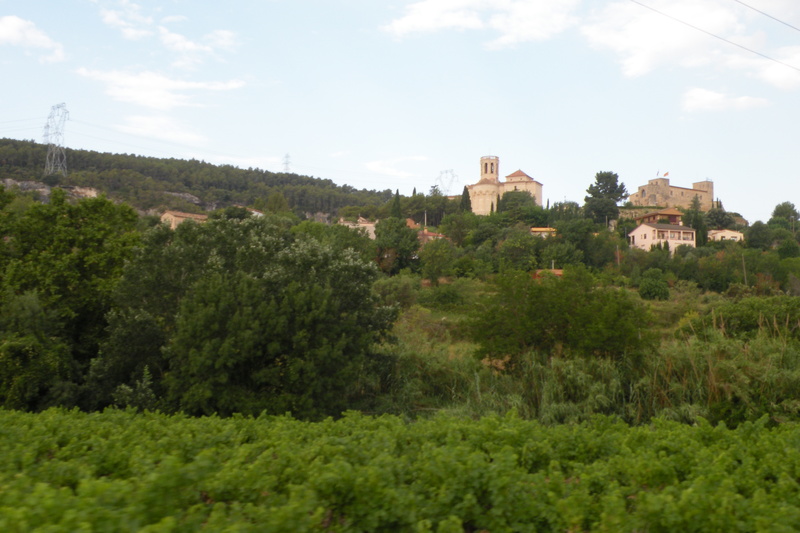 Our journey would only take us partway down to the Rovellats Winery and to get there we had to head toward the municipality of Sant Martí Sarroca. Now the land began to flatten out and we could see the land stretching away to either side of us with occasional houses, dogs and tractors amidst the many fields and vineyards. Nearly at the village we went off road directly through the middle of two vineyards along a path. Now the sun was shining brightly over the landscape creating intense colours; the blue sky, the green fields, the yellow path. Some-time later we reached our first, and only, real cycling challenge: a big hill. I cycled part-way, walked a bit, cycled again and finally crested the peak by foot. Thankfully, the only rises after that were not steep. 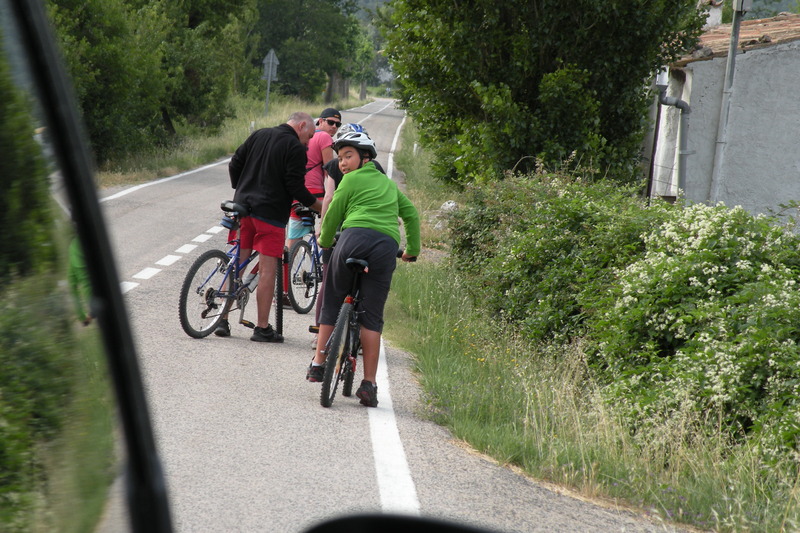 We then cut through the village and continued along the roads. Shortly after that we reached our destination. When we arrived at the winery the first thing I noticed was the beauty of the location with its statues, fountains, gardens and striking building. The Masia Rovellats (Rovellats farmhouse) experienced an evolution from the first formation of the building in the 10th century to the last in the 15th. What stands today is an impressive combination of different components. The first section we saw was part of the museum where you can see an old medieval kitchen with features such as a wash basin and an incredible chimney above the fireplace. After this we moved over to the Chapel of the Virgin of Montserrat, which contains an exact replica of the figure which stands in the monastery on the mountain of Montserrat. An ornate little chapel, this place of worship has been used by local residents as a place of worship. After this we headed into the main building and began the tour proper of the winery. 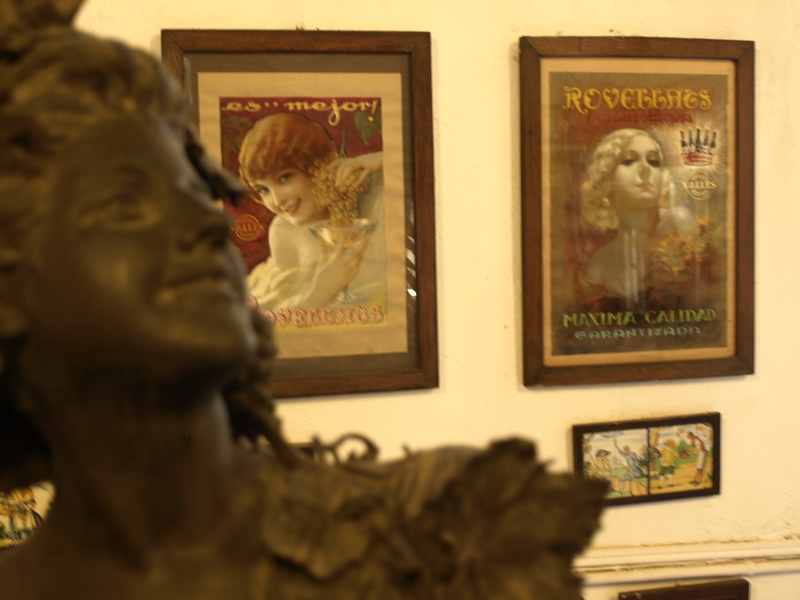 Walking through the entrance hall we experienced the first glance of what we would find inside; in glass cabinets we could see wine-related objects and on the walls old posters for the wine and cava produced there. 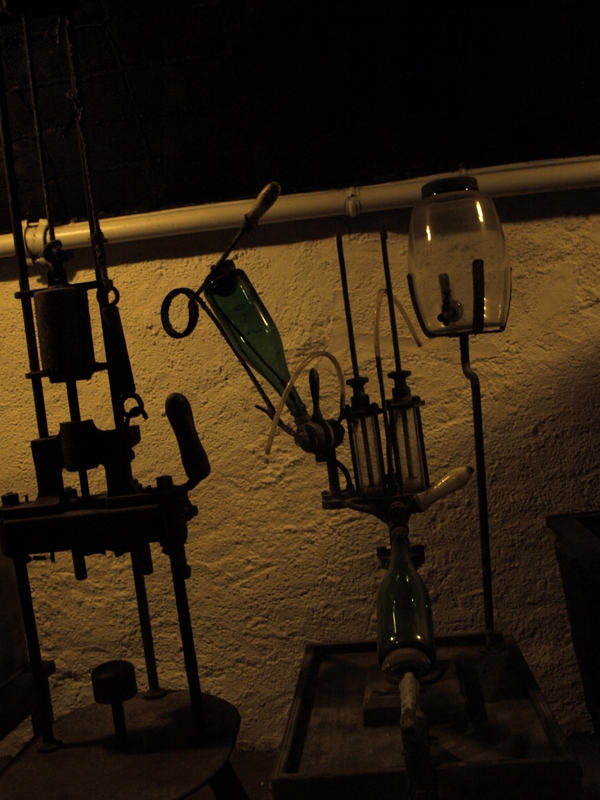 We then started by walking through a corridor with many bottles of wine and also a collection of original, and very old, wine bottling equipment. From there we continued on to the first stage of the production process: the collection of the grapes and de-stemming. The grapes at this winery are all hand-picked so that only the good and ripe grapes are used. Our tour guide emphasised to us the importance of the land and of the grapes themselves. The first stage of the fermentation process was the next step in a very large room with stainless steel barrels and the second stage was within the bottles themselves, so we went downstairs to see the cava fermenting. In my opinion, this was the most exciting part of the winery tour. We slowly descended the stairs behind a locked door as the temperature around rapidly decreased to 15 degrees and the humidity increased to 98 percent. We could see some kind of stalactites beginning to form on the ceiling above us as everything was covered in moisture. The bottles were all stacked up, row after row, along six different corridors all extending from a central point; this building uses an unusual radial structure and is therefore named the ‘Rotunda’. 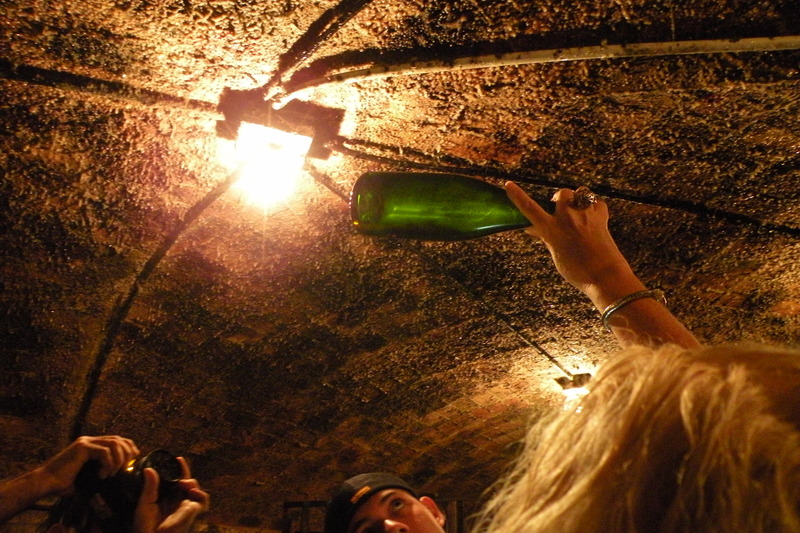 Here each bottle of cava stays for at least 9 months, depending on whether it is a reserve or not, and the sediment inside slowly settles.